Actor Charlie Cox has been cast to play Daredevil in the upcoming Defenders Sage series that will be available through Netflix. 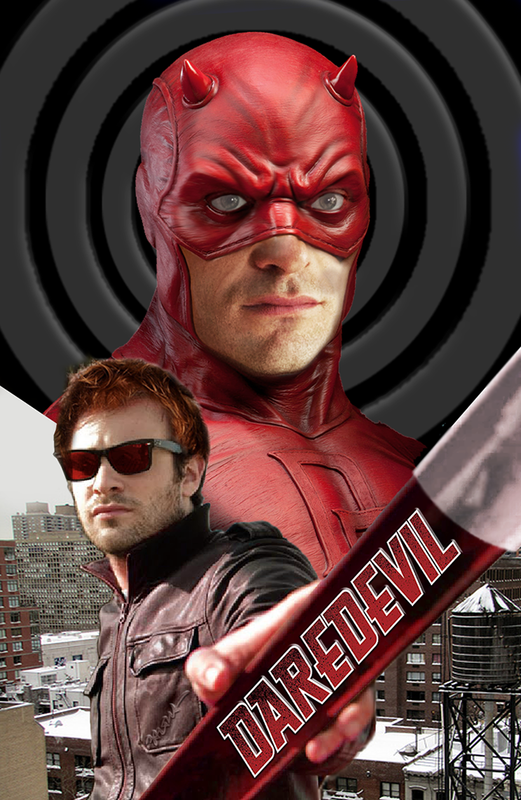 Here is a picture of what he may look like as Daredevil. What are the Seagate Prison Files? Marvel Short provides first look into Blackgate and Luke Cage? The other big news is that Marvel lost two directors Wright from Antman and Goddard from the Daredevil show. Now at the helm of the Daredevil project is the creator of Showtime's "Spartacus" series Steven S. DeKnight. DeKnight will be taking over the departing Goddard. Goddard will be focusing on the Amazing Spiderman spin off "The Sinister Six." Now for the million dollar question - Who is Charlie Cox? Cox is an English actor who is most well known for playing a hitman on the HBO show "Boardwalk Empire." His character Owen Slater did have some action scenes so I think he should be able to handle action in the show. He also played Tristan Thorne in the movie Stardust. Will this casting make Daredevil fans happy? Personally, I like his look better than Ben Affleck for Daredevil. He is a little more rugged looking. Is anyone worried about his English accent he is not playing a villain after all? Want to see Charile in action. Who are the Nova Corps? Will Nathan Fillion be Rich Rider Nova?